Garador offer full range of sizes for garage doors .. There are lots of reasons why people today are requiring larger garages. Vehicles can be bigger; and garages are often used to keep fitness or equipment. Larger garages can be built without problem thanks to the range of extra wide garage doors available from Garador. 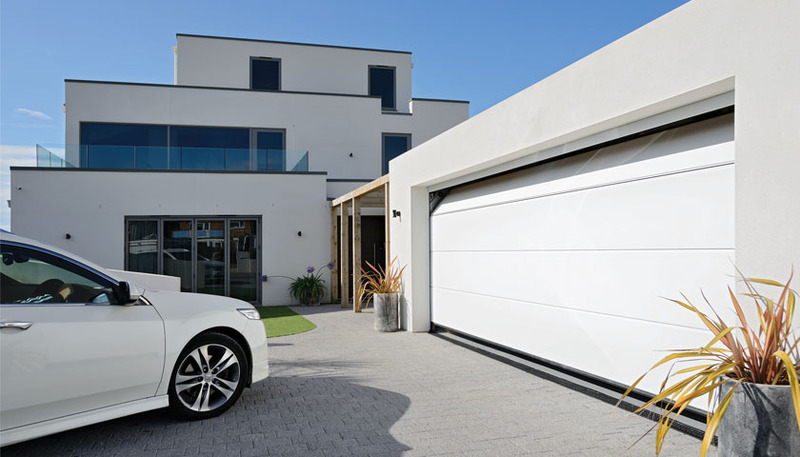 Leading British garage door manufacturer Garador offers a selection of its popular Up & Over doors in especially large sizes all the way up to 5000mm wide and Sectional doors up to 5500mm wide. Garador’s larger doors can easily be fitted with a GaraMatic electric door operator for a quiet, smooth and fast automatic opening. To find out more about Garage Doors by Garador please click here.